Sciatic pain– is a set of symptoms including pain that may be caused by general compression and/or irritation of one of five spinal nerve roots that give rise to each sciatic nerve, or by compression or irritation of the left or right or both sciatic nerves. 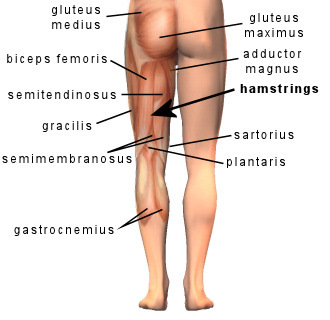 The pain is felt in the lower back, buttock, and/or various parts of the leg and foot. In addition to pain, which is sometimes severe, there may be numbness, muscular weakness, pins and needles or tingling and difficulty in moving or controlling the leg. Typically, the symptoms are only felt on one side of the body but in rare cases some my have a double sciatica. Our proven sciatic nerve treatments consist of a body and structure rebalancing and a deep tissue massage that loosen the muscles throughout the body allowing the body to return to normal, relieving the pain. Tailbone Pain– or Coccydynia is a medical term meaning pain in the coccyx or tailbone area, usually brought on by sitting too abruptly. By rebalancing the body and manipulating the muscle that cause the imbalance we are able to relieve the pain. Hip pain- can result from a number of factors. Abnormalities of the skin, nerves, bones, joints, blood vessels, and soft tissues of the hip can all result in pain. Sometimes diseases that affect other joints in the body, such as arthritis, can be the cause of pain in the hip. Trauma, including bone fracture, is also a cause of hip pain. Pain in the hip area may also originate from painful infections or other conditions of the skin, such as shingles. Hip pain may also occur because of a problem with the back or spine. Plantar fasciitis– is a painful inflammatory process of the plantar fascia. Longstanding cases of plantar fasciitis often demonstrate more degenerative changes than inflammatory changes, in which case they are termed plantar fasciosis. The plantar fascia is a thick fibrous band of connective tissue originating on the bottom surface of the calcaneus (heel bone) and extending along the sole of the foot towards the five toes. It has been reported that plantar fasciitis occurs in two million Americans a year and 10% of the population over a lifetime. It is commonly associated with long periods of weight bearing. Among non-athletic populations, it is associated with a high body mass index.The pain is usually felt on the underside of the heel and is often most intense with the first steps of the day. Another symptom is that the sufferer has difficulty bending the foot so that the toes are brought toward the shin (decreased dorsiflexion of the ankle). A symptom commonly recognized among sufferers of plantar fasciitis is increased probability of knee pains, especially among runners. Through our cranial/structural and deep tissues techniques we are able to provide effective plantar fascitis treatments. Heel spurs– when it is located on the inferior aspect of the calcaneus, is often associated with plantar fasciitis and ankylosing spondylitis. A posterior calcaneal spur may also develop on the back of the heel at the insertion of the Achilles tendon. An inferior calcaneal spur consists of a calcification of bone, which lies superior to the plantar fascia at the insertion of the plantar fascia . Posterior heel spurs are often large and palpable through the skin. Most heel spurs symptoms show much like Plantar fasciitis. Through our techniques we are able to go in and break down the calcified area that are causing you pain. Nerve entrapments– also known as entrapment neuropathy, is a medical condition caused by direct pressure on a single nerve. It is known colloquially as a trapped nerve, though this may also refer to nerve root compression (by a slipped disc, for example). Its symptoms includepain, tingling, numbness, and muscle weakness. The symptoms affect just one particular part of the body, depending which nerve is affected. At Surgical Alternative in Tampa, we have been helping people cure many conditions associated with whiplash flexion/extension injuries, headaches, neck pain, shoulder pain, degenerative disc disease, hiatal hernias, herniated discs or bulging discs, carpal tunnel, nerve entrapment, sciatica (providing sciatic pain relief), low back pain, hip pain, knee pain, or foot pain, tailbone pain and much more – that is usually related to the musculoskeletal structure. By addressing and releasing the core distortion pattern through a combination of techniques including deep tissue massages and cranial release we are able to achieve pain relief, homeostasis, and return to normal function..